-Only cars with CCC 8.8" screen (dual slot) radios show text. Cars with M-ASK 6.5" screen (single slot) work but do not show text. -Cars must be programed for an MP3 CD changer to show text. Cars that do not show text must be programmed for an CD changer to accept the unit. -If you have a factory CD changer use this unt. - Bluetooth phone does not always work with Mercedes radios that have the green end and send buttons on the face. Bluetooth for music works flawlessly. -If you plan on connecting in the trunk at the CD changer to keep the CD changer use this unit. -Always use this unit. Connects behind the CD changer under the radio. -Contact us for a free installation. -Connects at the CD changer behind the drivers seat. -If you are connecting at the CD changer use this unit. 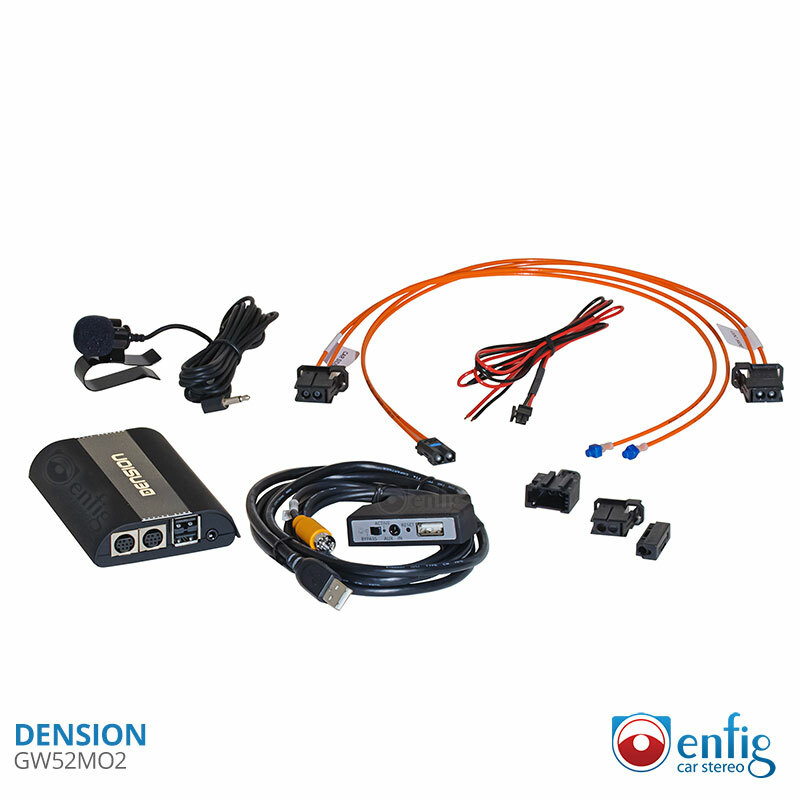 -If you do not have a Cd changer or are bypassing the CD changer use the Dension GW52MO1 and connect behind the radio. The Bluetooth and aux are universal connections so they are compatible with all phones that have Bluetooth or AUX. The USB port is compatible with Memory sticks as well as Apple products. The USB works with all apple products that have a lightning cable and some of the newer Apple devices with a 30 pin connection. We reccomend getthing the IPO5DC9 30 pin cable if you are using a older Apple device with a 30pin connection. I bought this because I don't want to replace the original Mercedes COMAND unit. There are replacement after-market units that theoretically work like the COMAND, but I don't trust that they will work correctly. *Have a digital input to the COMAND, I did not want to use the AUX headphone jack. The jack makes a digital signal analogue and then the COMAND processes it again. There is a significant loos of sound quality. *I did NOT want to always have to hook up the phone or iPod when I get in the car. *I wanted to be able to control the iPhone/Pod from the COMAND unit or steering wheel. *I wanted to see the title information on the COMAND display. With the AUX jack, nothing is displayed. *I want to leave an iPod or retired iPhone in the glove box and have music in the car. I it to be charged when the car is on.